Got to see really crazy jammed up traffic today. But what strikes me about the traffic, besides the fact that I am still incredulous that we haven’t been in an accident or even seen an accident, is that what would cause utter gridlock on the streets of the United States seems to work for Mumbai. There are no lines on the road and few traffic signals. In fact, more than once today I saw Ahmed stop for a red light as well as drive right through a red light. How can he tell when to run the light or not is anybody’s guess. 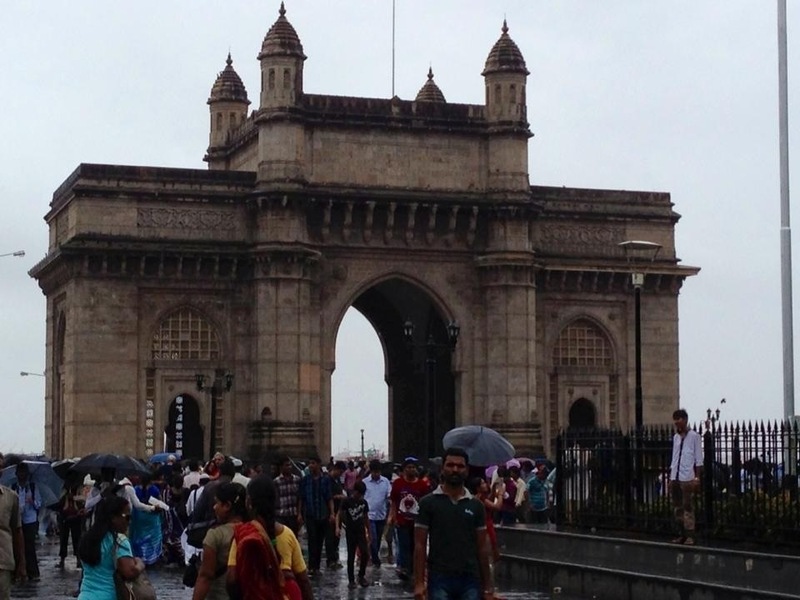 India, at least Mumbai, is an amazing mix of cultures that all seem to live together in relative harmony. Hindus, Muslims, Christians — and all religions in all their various breakoffs and sects — live in Mumbai, and there seems to be acceptance of those people. You will see people dressed in traditional Indian attire like saris (or is it sarees) but you will also see people in all the garb associated with their religion and/or culture, including Christians, including westerners like me (my blonde hair and fair skin has never felt or looked so out of place). Nobody bats an eye at me as I walk among the crowd. I am just another person. And I like that. It’s the way it should be. I am quite impressed with how cosmopolitan Mumbai is. 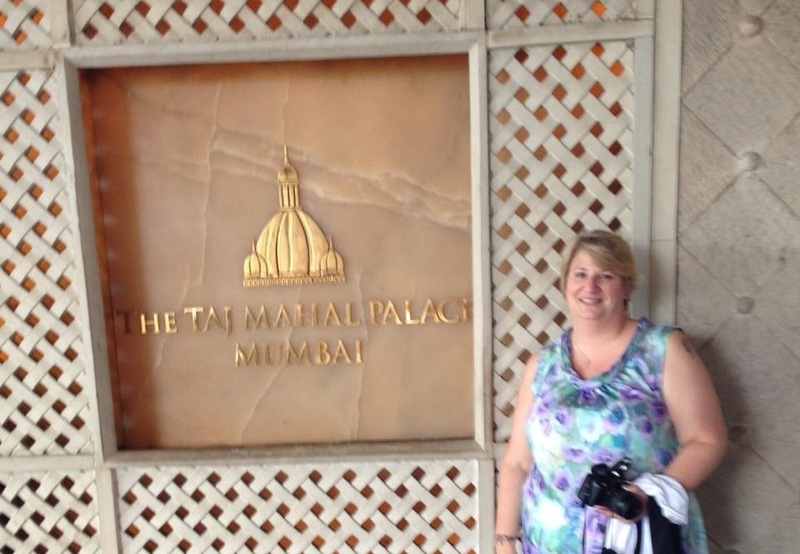 We spent some time at the Taj Mahal Palace Hotel today. There is a memorial there for the people who died in the terrorist attack there in 2008. Meryl, our tour guide, told us she was in college when that happened, so she remembers it well. She described it as “hell.” She spoke about the events of those days in ways I think we all could understand. She recounted the events using the same words and feelings we all use to describe 9/11. I remember the attacks in Mumbai but admittedly not well. Here is a link to the Wikipedia article about it if you’d like to learn more or refresh your memory. Tomorrow I travel to Delhi. I get to fly domestic coach in India. This should be a unique experience! I am also looking very forward to seeing another part of India. 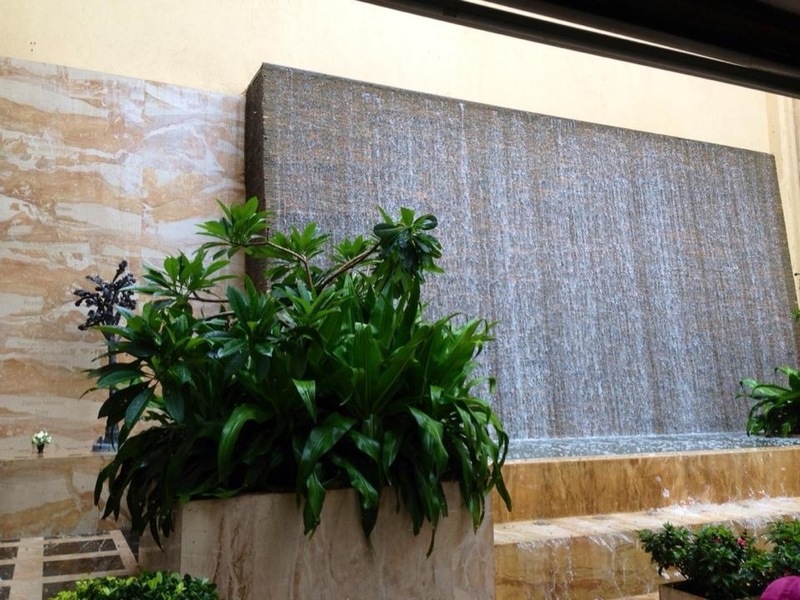 A memorial at the Taj Mahal Palace Hotel for people who died in the 2008 terrorist attacks. This entry was posted in India 2013. Bookmark the permalink.